The original 5C Sound Cubes were made of 1/2" particleboard covered with a glue-on wood grain contact paper. Avantone chose to use thicker, denser MDF board because of its high rigidity and inherent low-resonance characteristics. They started with a 165mm (6 1/2") sealed cube design with radiused edges. They then chose an elegant Polyurethane high gloss "RETRO-CREAM" finish. The originals had either screws or on later models plastic binding posts mounted on a recessed plastic cup. They upgraded to high-end nickel plated, machined solid metal binding posts (Dual banana spacing) mounted on a black anodized ,milled and silk-screened aluminum terminal plate. 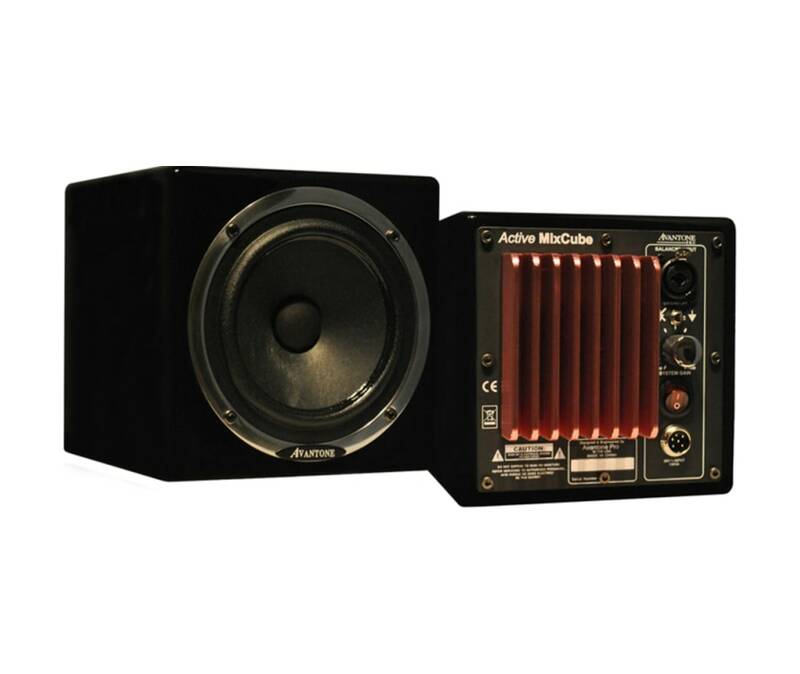 Next Avantone added a 7mm thick neoprene pad embedded into the base of the cabinet to serve as a skid-resistant acoustic isolator. Additionally, for creative mounting situations, Avantone recessed an industry standard 5/8"-27 mic stand mount into the base.